The US Treasury announced sanctions on Russian and Chinese companies Wednesday for violating the economic embargo on North Korea as Washington seeks to maintain pressure on Pyongyang over its nuclear program. 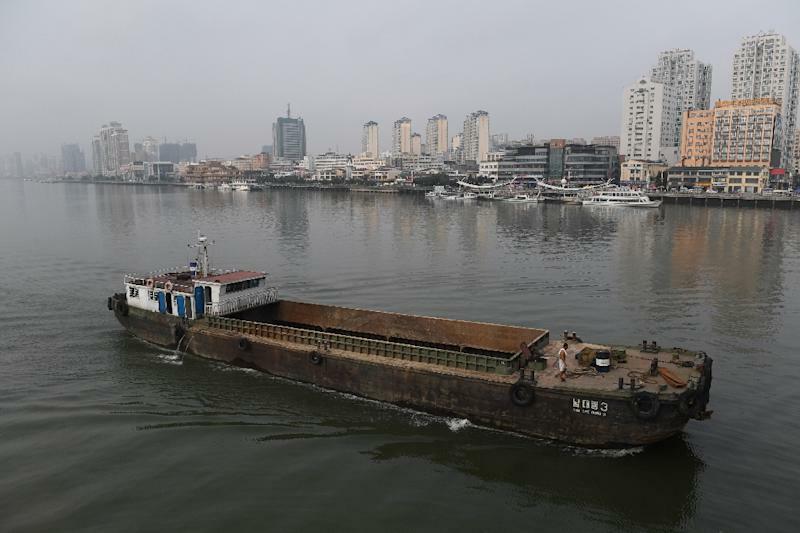 Those shipments helped fuel what the Treasury alleged was a huge "illicit" cigarette trade earning the Pyongyang regime $1 billion a year. Also named was Profinet director general Vasili Aleksandrovich Kolchanov, whom the Treasury said "was personally involved" in deals with the North Koreans. "Treasury reminds the shipping industry... of the significant risks posed by North Korea's shipping practices," the Treasury said in a statement. "We shipped them through China customs clearance, it's all legal, and we have all the necessary legal formalities," the director of Dalian Sun Moon Star International Logistics Trading, Liang Ye, told AFP by telephone. "We can only suspend our business now," Liang said. "The company might go bankrupt. The sanctions have a huge impact on us." "Treasury will continue to implement existing sanctions on North Korea, and will take action to block and designate companies, ports, and vessels that facilitate illicit shipments and provide revenue streams to the DPRK," Treasury Secretary Steven Mnuchin said in the statement Wednesday. "Consequences for violating these sanctions will remain in place until we have achieved the final, fully verified denuclearization of North Korea." On Tuesday, State Department spokeswoman Heather Nauert said those talks are making progress "in the right direction," two months after President Donald Trump held a groundbreaking summit with North Korean leader Kim Jong Un in Singapore.